BuddyPress is social networking in a box, the loveable plugin that has people around the world getting social. But using BuddyPress isn’t all about waking up one morning and being struck by the amazing idea of creating the next Facebook. BuddyPress is a tool for creating communities. In fact, if you look at successful implementations of BuddyPress, you’ll see they aren’t Facebook clones, but rather niche groups that have put BuddyPress to work in growing their community. BuddyPress is social networking in a box, the loveable plugin that has people around the world getting social. But using BuddyPress isn’t all about waking up one morning and being struck by the amazing idea of creating the next Facebook. BuddyPress is a tool for creating communities. In fact, if you look at successful implementations of BuddyPress, you’ll see they aren’t Facebook clones, but rather niche groups that have put BuddyPress to work in growing their community. The 1.7 release should make BuddyPress compatible with any WordPress theme, making it even more accessible to potential community builders. But people are already doing it successfully. In this article, we’ll look at some of them — five communities that are using BuddyPress, some big, some small, some established, some emerging, some successful and some unsuccessful. The Commons was conceived and created by CUNY faculty members. The project director is Matthew K. Gold, a professor of English at NYC College of Technology and CUNY Graduate Center. A committee comprising faculty and staff from across CUNY is responsible for overseeing the website’s strategy and policies. The development and community teams are responsible for the day-to-day technical maintenance and community building around the website. They are made up of around 10 people, most of whom are CUNY faculty or students. The development team takes care of maintaining the website and fixing bugs. They are all active members of the WordPress community. 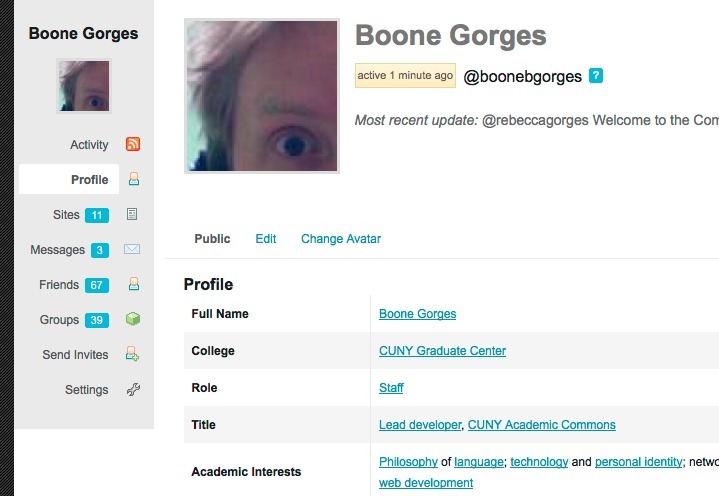 Boone Gorges is on the core BuddyPress team, and the CUNY Academic Commons has sponsored the development of many public-facing plugins. The Commons was inspired by work done by Jim Groom and his team at the University of Mary Washington (UMW) on the UMW Blogs platform, which is built on WordPress. CUNY is a public university, and thus the team felt that using and supporting free software was important. As it was building the Commons, BuddyPress was nearing its 1.0 release. It was also the only real social-networking plugin for WordPress. 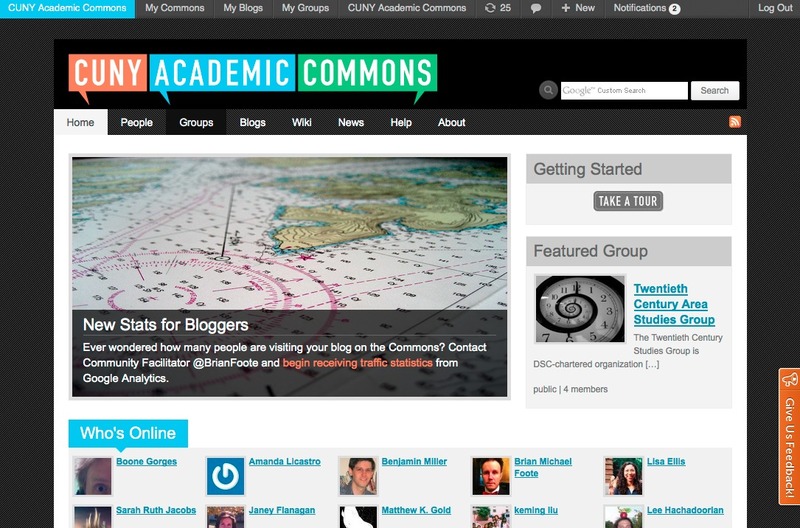 The Commons is a community of academics focused on collaborative work and, as such, has needed a large number of customizations to enable collaborative writing and discussion. It worked to the team’s advantage that BuddyPress was conceptualized from the start as a platform for further development, taking advantage of WordPress’ rich plugin architecture. Had the team used a proprietary platform or even an open-source alternative, it never would have been able to make the improvements it did, such as optimizations to the group forums, the creation of collaborative editing spaces, better filtering of member directories, and support for full email notifications of new activity. BuddyPress’ freedom and flexibility enabled the team to create a platform geared to the needs of its community. The Commons is intended to be a flexible and open space for collaboration. 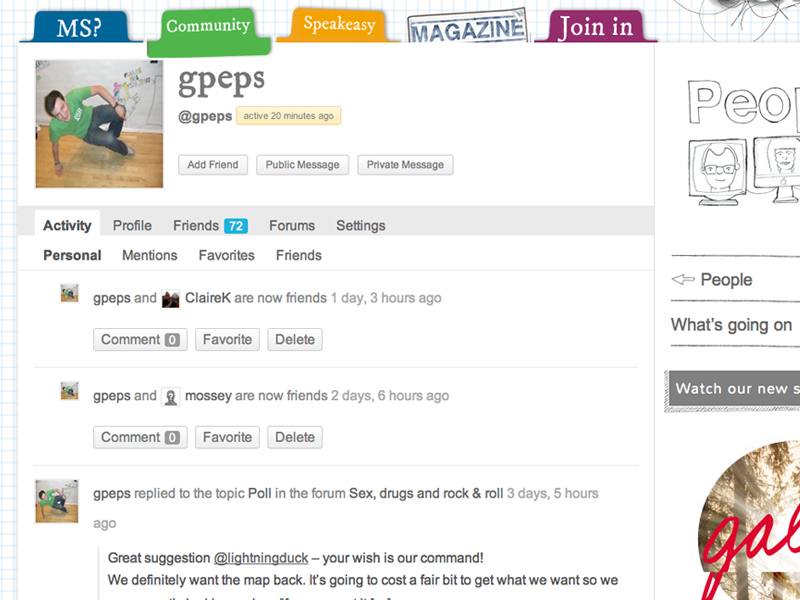 Users can create groups, blogs or wiki pages (or even all three). Membership is restricted to individuals with a cuny.edu email address, which means they haven’t had any issues requiring moderation. Interest groups. Individuals who share a common interest — Spanish language, poetry, games and education, bicycle culture in New York City — may use the group’s infrastructure for conversation and collaboration. Conferences and events. When a CUNY school is to host an academic conference, a Commons blog may be used to publicize the event, and a group might be established to foster communication about the event. Graduate courses. Classes held on the Commons use blogs for public-facing writing and use groups for their private discussion forums and other collaborative features. Committee work. When an administrative committee needs a place to share documents and engage in ongoing discussion about its work, it often turns to Commons groups. Academic journal publications. Several academic journals have recently found a home on the Commons. For a given journal, a WordPress blog is used for publication, while a private group is used for planning and review. Academic departments. 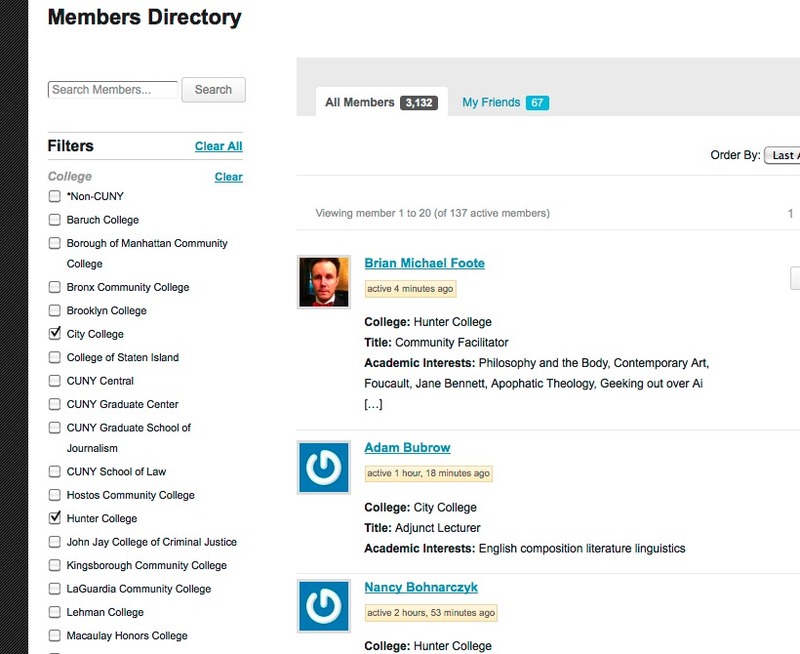 Several academic departments use Commons groups as a replacement for listservs. They share news and documents with each other and have discussions in the forums. Every CUNY member has their own profile. The Commons’ current theme is a child theme of BuddyPress’ default theme. Recently, the Commons was awarded a grant from the Alfred P. Sloan Foundation to develop the Commons in a Box software package, which will include some of CUNY’s more popular customizations. An important aspect of this will be the default theme, which will be built with the Infinity Theming Engine (by Infinity’s developers, Marshall Sorenson and Bowe Frankema). Later this year, the Commons will have its own theme converted to use the Commons in a Box theme. There are some challenges to face. For example, CUNY uses MediaWiki for the wiki section of the website. The team managed to create a single sign-on for WordPress and MediaWiki, but managing the link between them — in terms of theming consistently, supporting different interfaces for user input, sharing log-ins and consolidating activity — has been an ongoing challenge. The CUNY Commons team and members of the Commons have developed and co-developed dozens of plugins, many of which are publicly available in WordPress’ plugins repository. Invite Anyone To expand BuddyPress’ invitation abilities. BuddyPress Group Email Subscription For fine-grained control of emails and digest notifications of group activity. BuddyPress Docs For group-based document collaboration. CUNY regularly releases custom plugins. Some Commons customizations have been integrated into BuddyPress and WordPress. For example, the profile visibility features in BuddyPress 1.6 were built for the Commons, while the AJAX autosuggest for adding users to blogs in WordPress 3.4 is based on one of its patches. Smaller pieces of functionality have been published by the team on its development blog. BuddyPress Docs This lets users collaborate on writing important documents without resorting to third-party solutions like Google Docs. It provides full version history using WordPress’ post revisions, and it integrates fully with BuddyPress’ activity streams. BuddyPress Group Email Subscription This lets group members subscribe to email notifications with fine-grained control. Users can have different subscription settings for each group, ranging from immediate notification of each piece of group activity, all the way down to weekly digests summarizing important activity in all your groups. Think outside the BuddyPress box. Out of the box, BuddyPress is a great system, but it doesn’t (and can’t) meet all the needs of every community. So, before you start, you should have a sense of how you want your community members to engage with each other, and then think about the ways in which the software can help them do so. In contrast, don’t let BuddyPress’ default settings dictate the way you set up your community site — BuddyPress’ inherent flexibility and customizability mean that you don’t have to settle for what you get when you first download the software. I asked each of my interviewees what they would integrate into BuddyPress’ core if they had one free pass. The Commons is in the lucky position of having a lead developer who is one of the core committers to BuddyPress. With respect to CUNY Academic Commons, BuddyPress doesn’t need many more user-facing features, but it does need under-the-hood improvements to make it easier to extend and customize. This has been happening throughout the 1.5 and 1.6 development cycles, which have seen improvements to performance and scaling, as well as additional developer APIs for easy hooking into BuddyPress’ core frameworks. As BuddyPress’ core becomes more stable and lean, the team at CUNY will be able to build even more custom plugins and functionality, which can be used in the Commons and disseminated to the wider community. 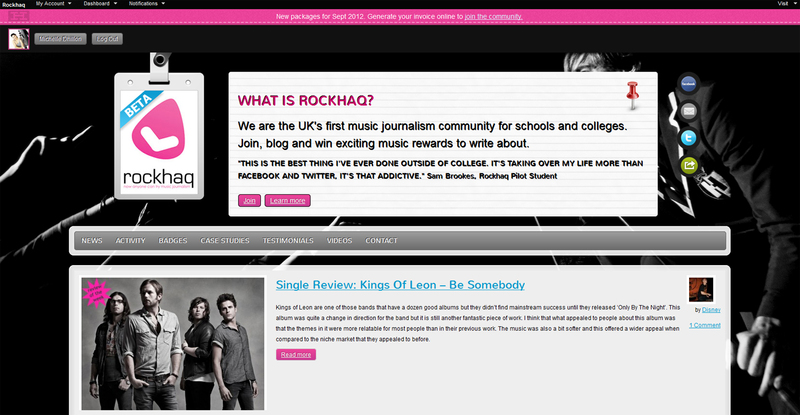 The brain behind Rockhaq is Michelle Dhillon, a professional journalist and editor. She singlehandedly oversees all community and editorial aspects, including providing lectures and tips on improving writing skills, choosing the top five weekly reviews and the review of the week, and liaising with community members both on an off site. In addition to Michelle, a team of three Web developers have helped to build and design the community platform and provide support. Michelle is looking to extend Rockhaq into teaching live music photography, so she has enlisted the help of music photographer and teacher Phil Swift. Rockhaq members can unlock achievements that appear in their profile. I was always going to use the WordPress platform; that was a given. I love this solution because it’s so flexible and puts a lot of power into the hands of the end user to be able to change and adapt the features they want really easily. BuddyPress wasn’t always in my plans, but I always intended to use a gaming plugin, and I was really impressed with Paul Gibbs’ Achievements plugin. This was my main reason for choosing BuddyPress, and I’m so glad I did because it’s a really nifty community package. Michelle’s primary reason for using BuddyPress was the Achievements plugin, but she also likes that BuddyPress allows you to turn certain social-networking elements off very quickly. This has been a significant help, especially for running a pilot in which the environment needs to be as controlled as possible. Because it is still being piloted, Michelle hasn’t had to do any major customizations. It is important that the features be simple and uncomplicated because the developers want to test the basics of the platform thoroughly. The only alteration they have made is to remove status updates from BuddyPress’ core. The activity stream is moderated but still fun and interactive. A very real issue that Michelle has had to tackle is cyber-bullying. This is a big concern in educational environments that use social networking, so Michelle has had to assure teachers and schools that the community is safe and regulated for students. Thus, it needs to be moderated, or at least be closely observed. At the same time, it needs to be fun and allow for interaction, so comments and public messages are permitted. Achievements This has been and continues to be the most important plugin for Rockhaq. It is invaluable in keeping the students motivated. Gravity Forms This works for Rockhaq because it is usable and flexible. Michelle uses it for contact forms and mailing list queries and to help users spread the word. Twitter Widget Pro Some Twitter plugins don’t work well or refresh properly, but this one does. Twitter is hugely important to Rockhaq because it enables students to stay in touch with what’s going on. The Twitter feed is even more important than Facebook. Be prepared — for anything! That includes positive as well as negative incidents. We’ve been very excited as ours have been overwhelmingly positive, but you still have to be prepared for users logging on at all hours, adding much more work than you’d anticipated and being obsessed with your community. Also, be prepared to publicize it — we’ve been featured in major local media already, and I didn’t expect that either. You will be working all hours! 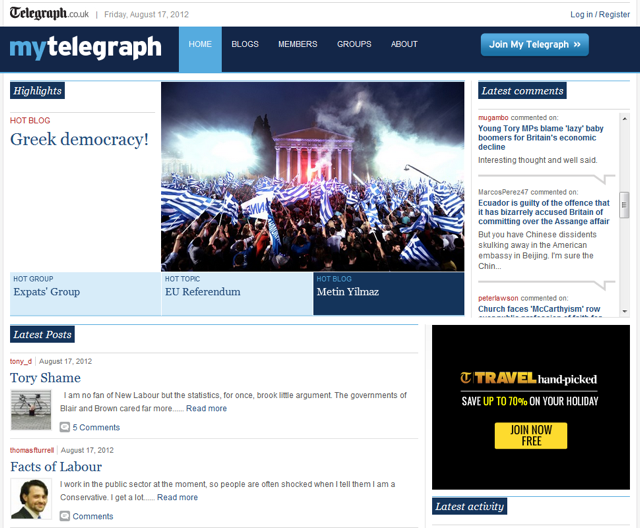 My Telegraph was started in 2006 to provide an online home for readers of British daily newspaper The Telegraph. The team at The Telegraph recognized that people were reading news on all sorts of websites, but that their most loyal readers identified themselves with The Telegraph and valued discussion with like-minded people. The first version of the website was designed so that people could blog in three clicks, but over the years they added more sophisticated functionality, such as profiles and groups, so they moved to BuddyPress. My Telegraph has a dedicated developer, core BuddyPress developer Paul Gibbs, and a community manager, Kate Day, both of whom spoke to me for this article. In addition, specialist editorial teams run specific groups. For example, the Books desk looks after the Short Story Club. 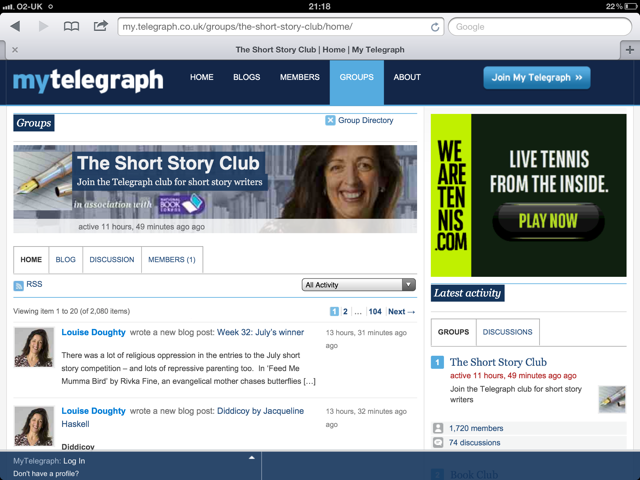 And a team of moderators monitor all user-generated content on My Telegraph, as well as on the main Telegraph website. While various out-of-the-box solutions exist, BuddyPress is the most advanced in functionality. Another important factor in the team’s decision was that BuddyPress has a community of developers that actively enhance the platform and come up with ideas that the folks at The Telegraph might not come up with. A fringe benefit is that, while blogging takes more than three clicks, many people are familiar with WordPress’ user experience. By implementing BuddyPress, My Telegraph has been able to scale beyond a blogging platform to a platform for general engagement. Moderators, journalists and even a novelist take care of the different groups. We try to take a light touch to moderation. My Telegraph is very much our readers’ space — journalists set the agenda elsewhere on our website! Nothing is screened before it goes live, and moderators simply work through a queue of flags that are generated when readers click on the “Report” buttons. Some of the groups are slightly more structured, with journalists, freelancers and, in one case, a novelist, leading the conversations via a group blog. Moderation is the biggest challenge the team faces. The team needs to find the right balance between allowing people to enjoy a free-flowing conversation while preventing things from turning nasty. Spam is another issue — My Telegraph ranks high on Google and is a magnet for spammers. Like CUNY Commons, My Telegraph has its own WordPress.org profile page. So far, the team has released the Expire User Passwords plugin, which forces users to change their passwords every 30 days. Paul often looks for things that would be of use to other websites to open source. He plans to release more soon. My Telegraph runs a lot of bespoke plugins and tweaks, such as the Group Competition plugin and the upcoming Bookshelf feature. Its most useful third-party plugin is BP Group Blogs, which ties together blogs and groups. Unfortunately for Paul, the plugin is quite old and can cause problems when the website is updated. Both Paul and Kate had advice for people starting a BuddyPress community. Communities are like gardens. They take time to grow, and they need some care and attention. Don’t expect results straight away, but when relationships start growing between members of your community, the results are fantastic and constantly surprising. We’ve had members create a collaborative eBook, meet up for coffee mornings, even go on holiday together! And I hope a great many more people have enjoyed some really interesting discussions. Start small. Launch early with a small piece of your intended functionality, and grow your community as you grow your site. Otherwise, it’s very easy to end up with so much “stuff” on the site that new users aren’t sure what they should be doing. And make sure you have someone on the site participating with your community regularly and talking to them. You need to encourage your community to grow, as it won’t if it’s left alone by itself. Paul, like Boone, is a BuddyPress core developer, so he always gives input into which features to integrate in BuddyPress’ core. However, for The Telegraph he would like to add a group management screen to the WordPress admin area. This would be similar to the activity management screen that appeared in BuddyPress 1.6. Dealing with users in groups is something that My Telegraph does a lot. Luckily for Paul, BuddyPress 1.7 will have exactly that. Shift.ms is an online social support network for people with multiple sclerosis (MS). Over 2.5 million people (“MSers”) worldwide have this chronic neurological condition. People are most commonly diagnosed with MS in their 20s and 30s. Shift.ms founder George Pepper was diagnosed when he was 22, and at the time he found it difficult to find people his own age who were having a similar experience. MS is progressive, so newly diagnosed MSers have different needs than those who have been living with it for many years. In 2007, George set up Shift.ms as a peer support network for young MSers. Shift.ms is a community-led organization, and all of its members provide the content and decide on its direction. It has two ongoing employees, George himself and a community coordinator, Beki. BuddyPress designer and developer Tammie Lister is responsible for the design and development of the website, and WP Valet takes care of ongoing support and hosting. I asked the team members why they chose BuddyPress over other solutions. For them, the strength of BuddyPress lay in the thriving community around it. 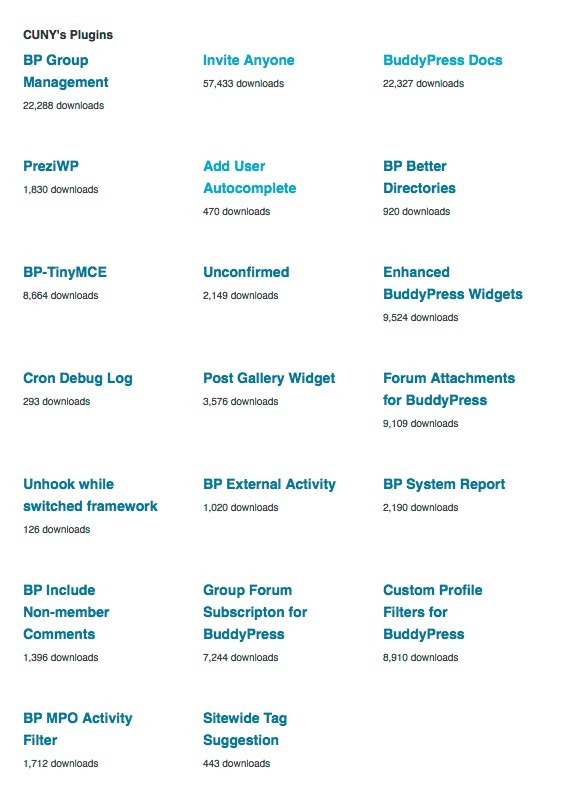 In addition, a lot of plugins existed, which meant they could extend BuddyPress on a tiny budget. Shift.ms already had an online magazine that was built using WordPress, so using BuddyPress enabled it to easily integrate its community with that. The particular advantage for Shift.ms, however, was that members could create and update their own profiles. Much of the activity takes place in the forum. Community members hang out mainly in the forum, where they can ask questions about living with the condition that they might not want to ask a health professional or a loved one. While all of the comments are read by George and Beki, moderating them is not usually necessary because the community is good at self-moderation and spots any occasional spam accounts that slip under the radar. The theme itself is a custom child theme of the BuddyPress default. It has had heavy customization and uses several different custom post types. However, the main challenge has been finding a balance between the expected behavior of the community and what BuddyPress and WordPress can do; these things aren’t always in harmony. I asked Shift.ms if it had any code snippets to share. The one below was written by BuddyPress core developer Paul Gibbs. The team needed to solve an issue in which an external company had provided a video template as a page. Shift.ms wanted the page comments to appear in the stream (they usually don’t). In addition to BuddyPress, Shift.ms finds Gravity Forms useful because it lets non-technical team members have control of forms. BuddyPress developers are few and far between at the moment, but their number is growing fast. I’d say get someone in who has specific BuddyPress experience; WordPress knowledge is fantastic, but there are a number of significant differences. For users, George would like to see a map integrated into core so that he can show where all members reside. Developer Tammie Lister would like to see more privacy controls. She’d like to give users more control over what is publicly displayed, which would help them feel safer in these more personal communities. 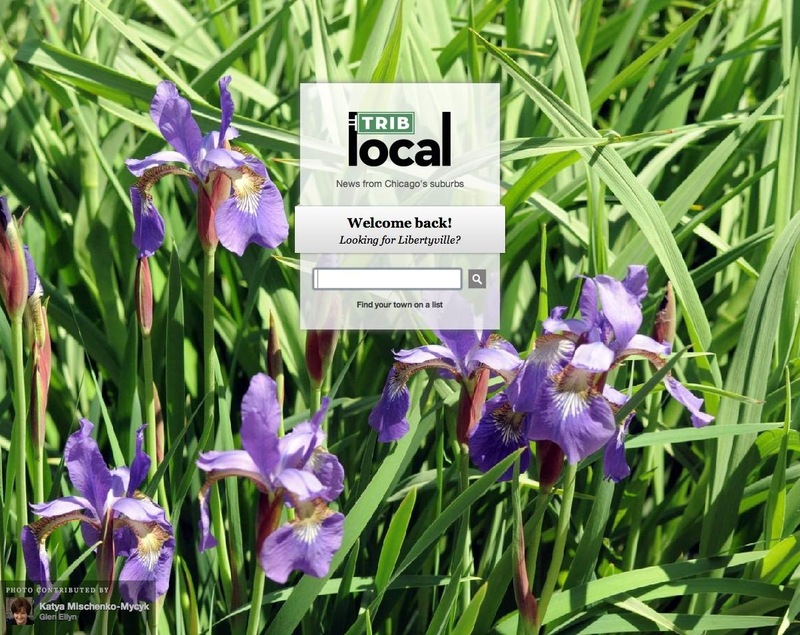 TribLocal is designed to collect and deliver local news via 88 community websites covering the Chicago suburbs. I spoke to developer Tom Willmot, of Human Made, the development shop behind the website. Many of the visitors show up just to read headlines, check out the police blotter or click through the photo galleries of news and events in their neighborhood. 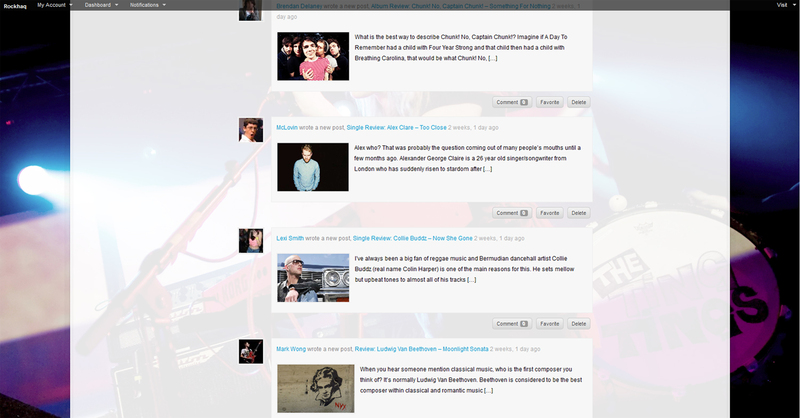 More engaged users sign up for accounts to post their own stories and event listings, which the production staff moderate and consider for the home page. Like any blog, this one has comments, social-media sharing tools, RSS and member profiles. In additional to original reporting and community contributions, TribLocal has an aggregation strategy to highlight interesting local news elsewhere. In addition to the development team that handles the technical side of things, the community is run by a team of community producers. The news team writes articles for the various local websites, moderates articles submitted by the local journalists and chooses the best ones for inclusion in the weekly newspaper. The TribLocal websites were originally built with a custom solution. When Human Made came on board, the client had already decided to replace its existing solution with WordPress Multisite and BuddyPress. The key element that BuddyPress brought to the table was to put user log-ins and profiles on the front end. BuddyPress provides this out of the box. The community producers review content that is submitted via the website and decide whether to promote it on the home page of the website or run it in the following week’s newspaper via a reverse-publishing system. In addition, producers also monitor the website for things like terms-of-service issues. 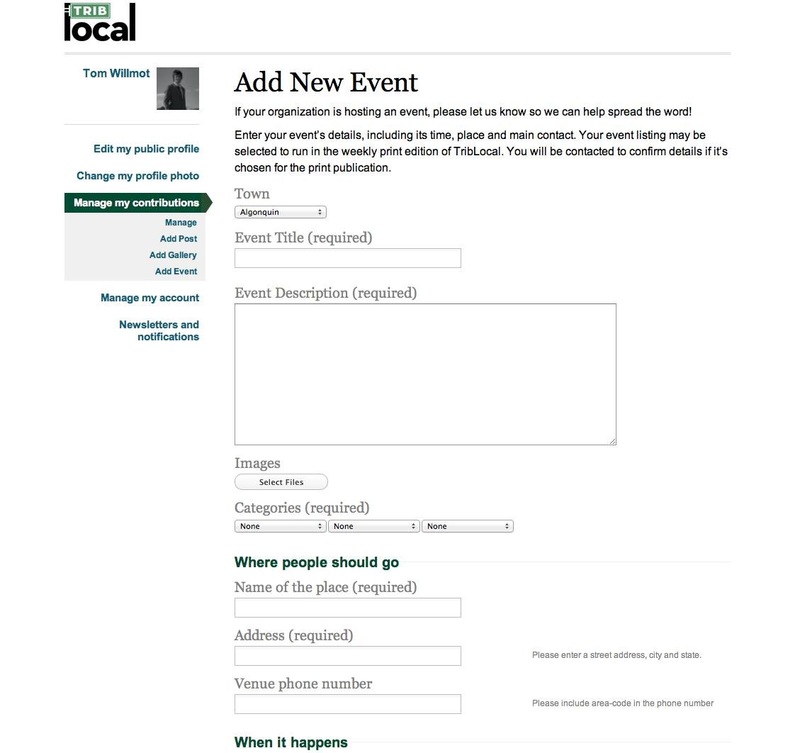 Members can add events through the front end of the website. Events have been the most popular. 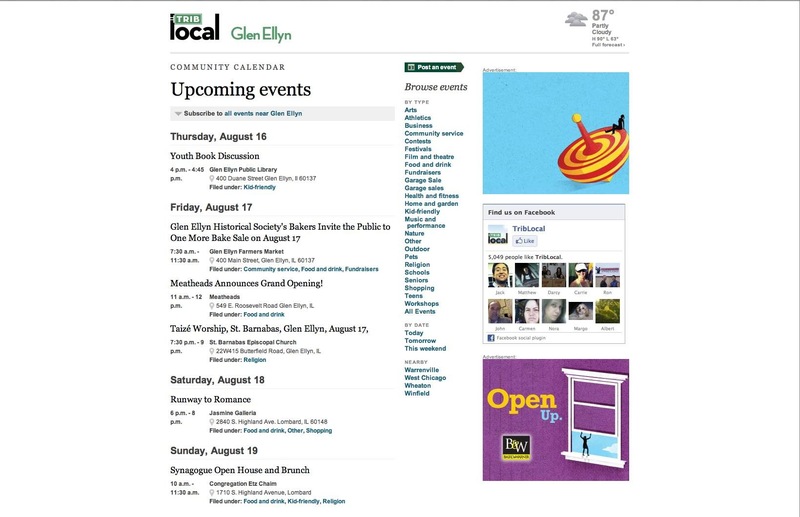 A home page calendar shows upcoming events, and users can download the ICS file. Members’ events appear on the home page. A photo section to encourage users to post their photographs. Shots of severe weather in the Chicago area have been particularly popular. A voting system for high school athlete of the month, local volunteer recognition and other initiatives. Members becoming regular contributors, with some having their own official blogs covering areas of local interest. As far as member-to-member interaction, we had @mentions, which I think are standard to BuddyPress. While we had open registration, member pages, etc., we didn’t activate the feature for people to friend/follow each other. So, in that sense, maybe it wasn’t a true “social network in a box,” but it was an innovative way to engage people in the news and really unlike anything else in local community journalism. A key requirement was to have user-generated content. Users needed to be able to act as authors, with the ability to post news, photo galleries and events from the front end. This required extending BuddyPress’ user profiles beyond simply logging in and recreating something resembling WordPress’ back-end functionality for users. Human Made has had issues using BuddyPress, not because of any inherent problem in BuddyPress itself, but because it had more functionality than was needed. The client had preselected BuddyPress, so they were stuck with it. The development team only needed the user log-in and profile features, so a lot of features and associated code were superfluous to the project. This meant that the website had some performance issues due to the number of queries generated by BuddyPress. The client’s internal system prevented them from using Memcached, so instead they used a combination of Varnish for full-page caching and flat HTML fragment caching for widgets and comments. The heavy customization of BuddyPress caused problems when it came time to upgrade the plugin: BuddyPress changed fundamentally between versions, and the team was unable to update to the latest version. We would advise them to start with BuddyPress at the outset. We had limitations because the client had already designed the site, which restricted how we were able to approach the development. Ideally, the theme and development would be built to work integrally with BuddyPress, rather than having to adapt existing concepts. If Tom had one free pass, he’d love to see BuddyPress more closely follow WordPress’ core architecture and APIs. If there’s one commonality among these successful BuddyPress installations, it’s the people behind them. From Michelle’s passion for music journalism and improving student literacy, to Kate’s desire for a community for Telegraph readers, to the CUNY ethos of providing a collaborative working space for staff and students, to George’s aim to provide support for MS sufferers, these communities were started by passionate people who wanted to create a forum for other passionate people to converse, to work towards a shared goal, or to share advice and support each other. The BuddyPress plugin is wonderful, but the personal passion is what really drives these communities. You could also take a trip to the first BuddyCamp, which is happening this October in Vancouver.